If you’re over eighteen, chances are you cast a ballot back on May 2nd. And if you did go to the polling stations on May 2nd chances are you were not, to say the very least, a happy person on May 3rd. That’s because the majority of voters in Canada (a full 60%) woke up to the news that the party and candidates they didn't support would now not only form the government, but gain one hundred percent of the federal legislative and executive decision-making power in the country. For the next four years, the reality is that the majority of Canadians will be subjected to the whims of a political party they haven't voted for. Can a system that produces such a result legitimately be called democratic? The 2011 federal election results were a shock to some, and yet not so surprising for others. Haligonian Raymond Taavel would fall into the latter category. He’s an organizer with Fair Vote Nova Scotia, the local Chapter of Fair Vote Canada, a group that has been promoting electoral reform in Canada for over a decade. 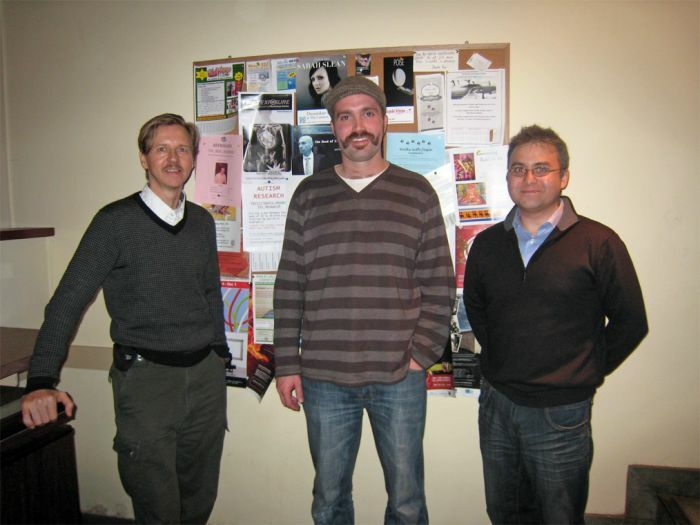 “In May just after the federal election, there were a number of people who became interested in Fair Vote NS, and a meeting was organized at the Just Us! Café,” Taavel says in a late-November interview. The meeting had a good turnout of 35 people. “Everybody gets fired up over the issues - there are different issues galvanizing people right now - but like any volunteer group, it is harder to keep things going and keep the momentum up”. 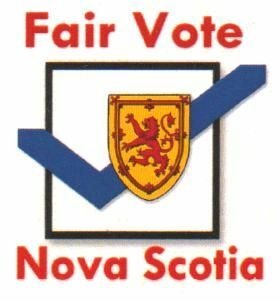 Fair Vote Nova Scotia wants electoral reform in the province. Specifically, like the national umbrella group, it advocates proportional representation and a move away from the purely First-Past-the-Post, winner-take-all electoral system currently in place. The group has been around for 7 years. During that time, some years have seen more action than others. Past president Derek Simon explains the ups and downs of Fair Vote Nova Scotia’s trajectory. “We had an active period between 2004 and 2006….then we went into a dormant period. In the summer of 2007 another core group of people revived the Chapter and we entered a more active phase again. During our active periods we attended conventions of all of the NS political parties, attended legislative committees, wrote letters to the editor, and ran education events at Dalhousie, Mount Saint Vincent, and Acadia universities, among other activities,” says Simon. Andy Blair, Vice President of Fair Vote Canada, was also in town in November. He articulated the main problems FVC sees with the current voting system. “Fair Vote Canada was formed…because [we] felt our voting system did not uphold two basic tenets of democracy: that everyone has an equal voice, and that the majority rules. Our current voting system violates both of those fundamental principles. “There are a number of proportional voting systems that would maintain our all-important local representation, while making sure that every vote counts and that parties get the number of seats they deserve – no more, and no less. Fair Vote Canada does not advocate any certain form of PR, we believe it should be up to Canadian citizens to decide”, says Blair. Fair Vote Nova Scotia is interested in pursuing proportional representation at the municipal level as well, explains Taavel. “Proportional representation is 100% applicable at the municipal level. Like FVC, Fair Vote NS does not advocate any certain type of proportional representation, but as an example, the Single Transferable Vote (STV) system could be adopted in HRM. It would make a lot of sense, especially considering our low voter turnout during municipal elections.” The last municipal election in HRM, in October 2008, saw a turnout of a mere 37% of eligible voters. Read the full Q and A with Fair Vote NS and Fair Vote Canada here – on PR, the Occupy protests, FVC’s support for a recent Supreme Court challenge over FPTP, and more. Submitted by Hillary on Wed, 12/07/2011 - 14:55. Thanks for the great, well researched article Steve! You should write more!